Craftsmanship - A.C. Pianocraft Inc. 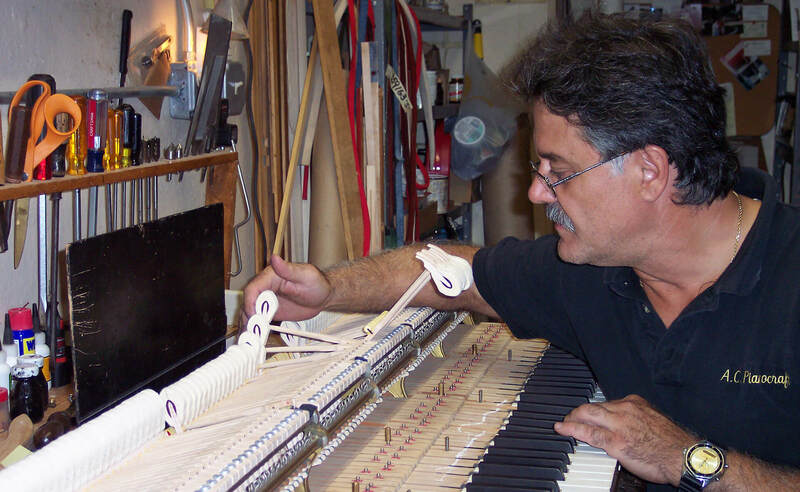 While there may be many piano restoration companies to choose from, AC Pianocraft remains the premiere piano restoration company specializing in the rebuilding of Steinways and other fine grand pianos and is recognized as a leader in its industry. AC Pianocraft, Inc. is highly regarded for its integrity, meticulous craftsmanship and quality of final product. The company has become a leader in its field and sought after by clients all over the world including pianists, musicians, and prestigious musical and educational institutions. In fact, many of our clients are referred to us through other piano technicians within the piano industry who have seen our work and trust that the outcome will be an exceptional experience and a phenomenal musical instrument for their client. 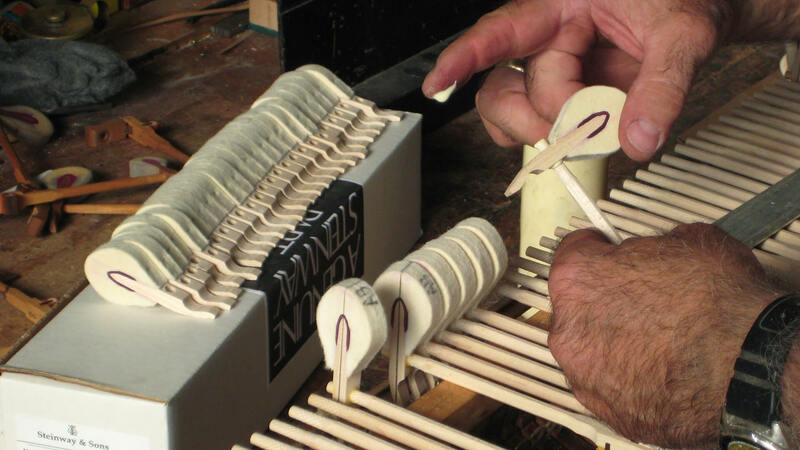 AC Pianocraft has been restoring vintage Steinway pianos since 1966, therefore our knowledge and experience in this field have enabled us to consistently achieve a superior product – the instrument that great artists have sought out for more than a century. We constantly strive to create the “Steinway” sound made famous by those piano builders and technicians who came before us and passed down their legacies. A focused dedication to our craftsmanship is reflected in the delightful satisfaction of our customers. We are personally responsible for the pianos entrusted to us for rebuilding and we strive to have each instrument achieve the sterling promise of its unique heritage. Using the finest domestic and imported materials and with a rich understanding of traditions of the glory days of “old world craftsmanship”, these instruments are fully and faithfully restored. AC Pianocraft is the oldest family-owned Steinway retail establishment in New York City. It was founded in 1966 by Ted Kostakis and associates who utilized systems and methods acquired during decades-long experience as final inspectors at the Steinway & Sons factory in New York City. They taught other technicians their proven skill and old school techniques, and created a team of first-rate craftsmen.A few years ago, Ted passed the ownership of AC Pianocraft to his son, Alex Kostkais, who was involved in the business from an early age and had worked side by side with his father. Instilled in him were old-world values and the importance of being extremely detail oriented. 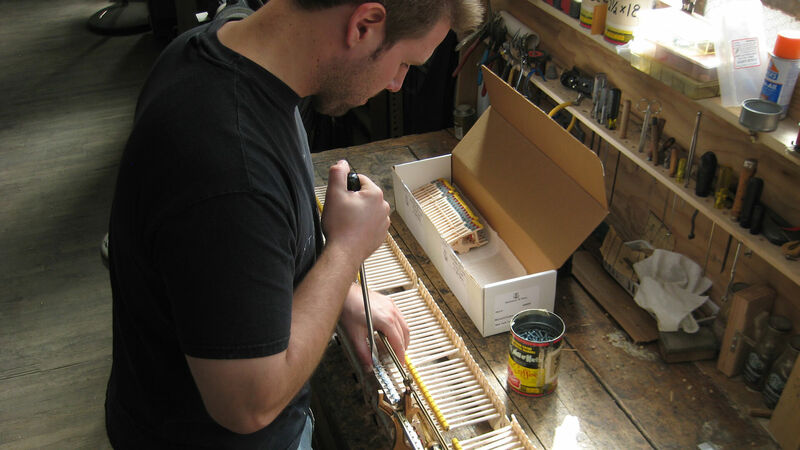 Taking these lessons to heart, Alex works on every piano at AC Pianocraft and no piano is released to a customer without his final and thorough inspection.